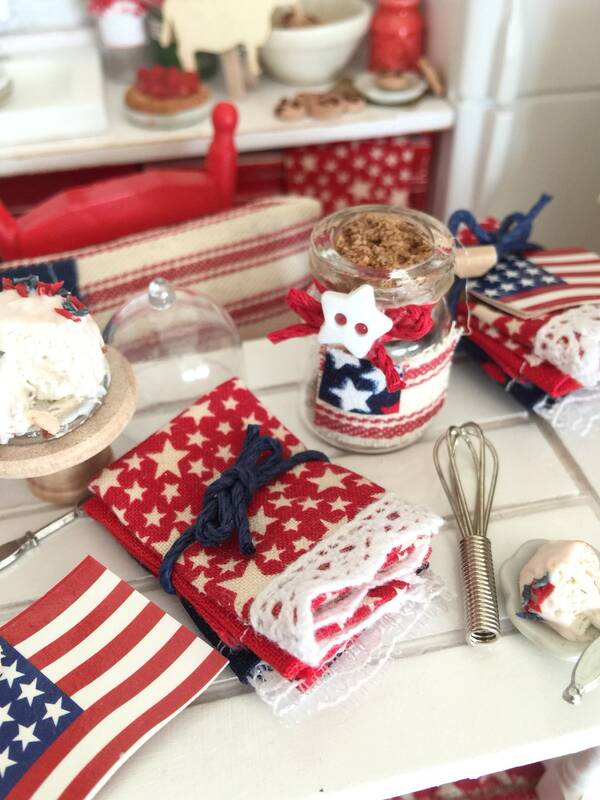 Americana colors in Red, Blue and White make the perfect color combo for these three kitchen towels. Unfolded they are about 2 7/8” X 2 7/8”. Folded in thirds and then in half they measure about 1” wide and 1 1/2” long. Tied into a bow with cording. 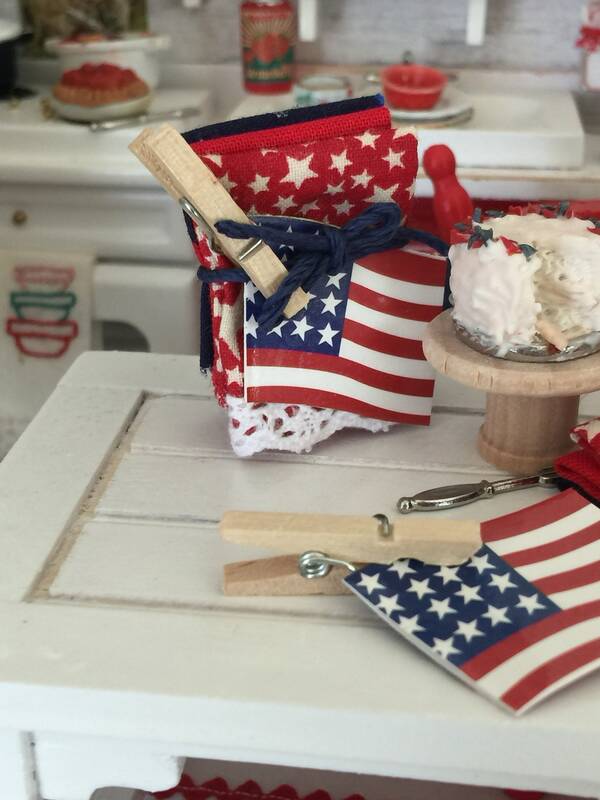 I added a little flag attached with a tiny clothespin. 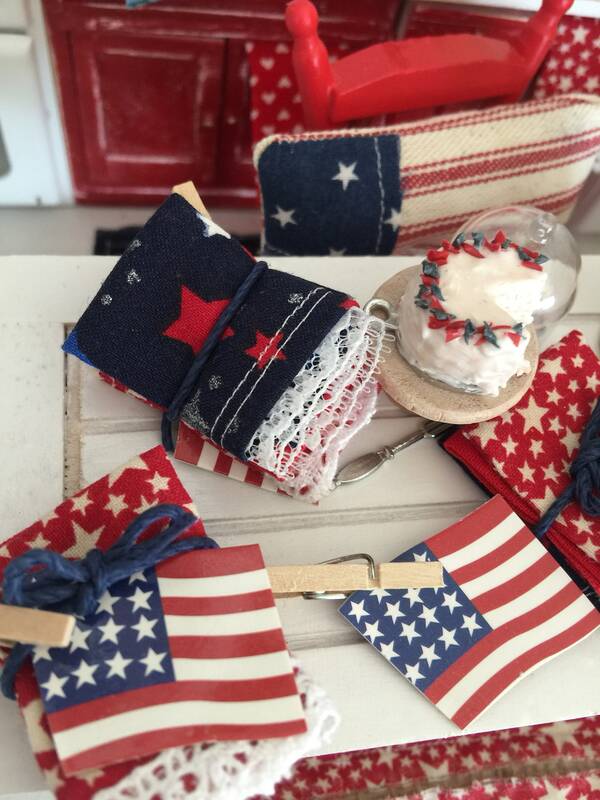 Perfect for setting ink a kitchen counter or kitchen table. Adds a little seasonal touch to your mini scene. 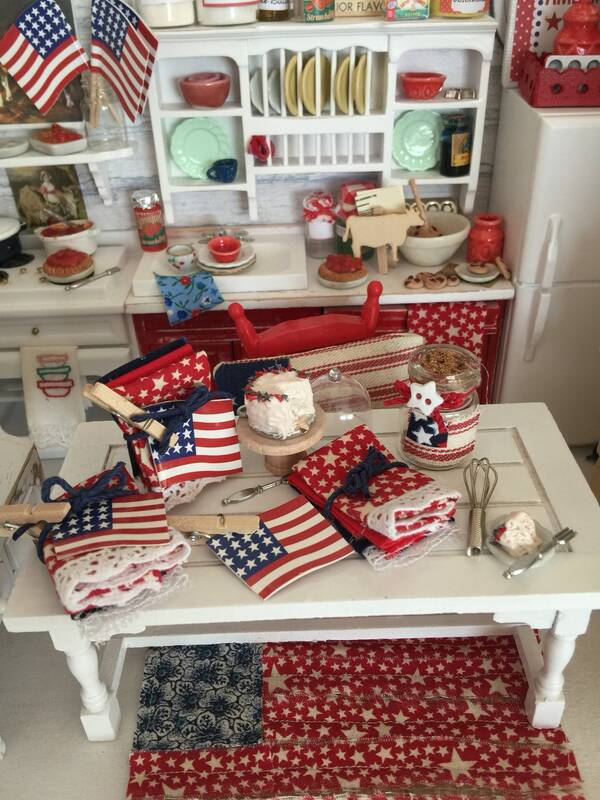 Perfect accessories for my 4th of July kitchen! Awesome as always! Love Debbie’s work! Perfect all of the time.